Shortly after taking office in January 1981, Ronald Reagan's national security adviser found himself accused of taking a bribe from a foreign government. That man was Richard Allen, a native of Collingswood. The investigation was “leaked” to the press. President Reagan called the whole thing an act of political sabotage. In the end, Allen resigned but was later cleared. Sound familiar? Welcome to being a conservative Republican in a country dominated by a liberal media. This was followed by even larger anti-Reagan marches in September 1981 and June 1982. Nothing new here. either. This is the standard leftist response to conservative leadership. And as for Donald Trump’s first days on the job? Domestic policy, foreign policy, Cabinet appointments and tax cuts … what’s not to like? After eight years of a gray economy – eight years of the media celebrating every little downtick of unemployment, while trying to ignore losses in workforce participation, upsurges in underemployment and a grinding foreclosure rate – working America, business America, is excited and hopeful about the future. Look at the stock market. Investor confidence is up and business is looking toward a boom. Trump has moved quickly to get to work on infrastructure – like the Keystone pipeline project – even as liberal naysayers attempt to delay it and pour cold water on the blue-collar workers who will benefit from employment the project will create. What is it with these liberals? What is inside their heads and how must they view a world in which building a wall is impossible? We are the nation that built the Erie Canal with picks and shovels! We built the Panama Canal, too, railroads coast to coast, the Empire State Building and the interstate highway system. We sent a man to the moon and brought him safely home. Now they want us to believe we cannot bring manufacturing jobs back to America. They want us to give up and go down without a fight. That is why there are large numbers of people who support the president. They want to believe that we, as a nation, still have it. They want to believe that if we decide to do a simple thing – like secure our borders against terrorism, illegal drugs and human trafficking – that we can accomplish it. That having defeated slavery once, 150 years ago, that we can defeat this new slavery called human trafficking. That we are still as good men and women as our grandparents were. For all the dark appraisals of the situation in which we find ourselves, the appeal of Donald Trump is essentially an appeal to America’s inner optimism. That we can figure out a way to move forward – to make America great again. The liberal elites in this country would prefer it if Americans behaved like content consumers of the products, culture and ideas they fed them. Optimism is an emotion that leads to growth and emancipation, and for the elites, this is dangerous thinking. It is important to remember that Trump has been in office one month, during which time he has challenged policies thought unchangeable and spoken frankly about what was formerly unmentionable. Yes, the Washington establishment has pushed back. Its members want the intractable to remain so. Their world is a “Catch-22” world, because in a “Catch-22” world, change is impossible and only the status quo endlessly remains. It’s been a month and it has taken the whole of the establishment just to deal with the burst of effusive, optimistic energy that is Donald Trump. Even with an adversarial media and all the rest, it has not stopped him or driven him out or turned him from his course. And that is because of the support Trump gains from a broad group of forgotten Americans who are forgotten no longer. And as his first month passes, remember that at least 47 months – and more likely, 95 – remain. 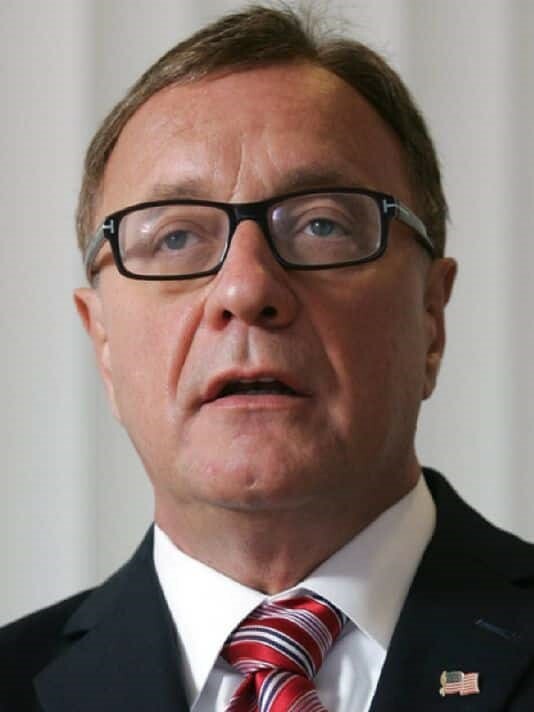 Steve Lonegan, Republican, is a former mayor of Bogota, former state director of Americans for Prosperity and was a national surrogate spokesman for U.S. Sen. Ted Cruz's 2016 presidential campaign. This column was originally published in the Record of Bergen County.